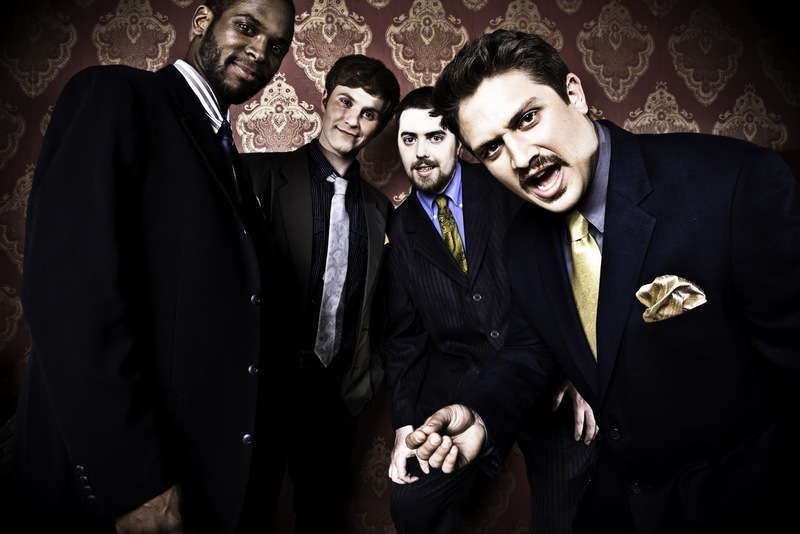 The stage keeps getting bigger for Chicago band The Shams Band, which opened last year for Edward Sharpe and the Magnetic Zeroes at the Chicago Bluegrass and Blues Festival. The band's fresh mix of rock and folk is creating a buzz on the Chicago music scene. Luckily for fans, they won't have to wait long to hear the band again. The Shams Band, www.theshamsband.com, will perform Jan. 20 at Otto's, 118 E. Lincoln Highway, DeKalb, www.ottosdekalb.com, and Jan. 27 at Lincoln Hall, 2424 N. Lincoln Ave., Chicago, www.lincolnhallchicago.com. I had the chance to talk to Shams frontman Donnie Biggins about the band's latest activities and how he sees the band fitting into the Chicago music scene. Q - Your music has been described in various ways. How would you describe your music? Our music is very organic. Everyone in the band helps mold the sounds that we create. With three songwriters and 4 singers, we are able to create an eclectic mix of songs together. We aren't just following one leader’s vision, instead we create a vision and sound together. Q - Explain the meaning behind the band's name. A man from Galway once told me that in his town people scream "Hey, sham!" instead of "Hey, dude" or "Hey, man" when calling out to a friend. From that comes "The Shams Band" because we are a bunch of guys that have been lifelong friends. Q - How did you guys come together? Did you guys gel together right away? We came together to play at a street festival in Forest Park. Paul Gulyas and I had been playing together, learning one another’s songs. When we first began, we were just joking around and enjoying each others company. Playing became addictive, and there has only been one direction since: forward. Q - What were the band's goals in making "Champagne"? Q - How do you guys see yourself fitting in the Chicago music scene? We aren't reinventing the wheel. Amongst a city of hundreds of indie rock bands, we find ourselves naturally sticking to a simple formula with catchy hooks and sing-a-longs. When we are performing, we don't stick our noses in the air, we engage the audience and encourage participation. Our music is something to be shared, not kept to ourselves. Q - Growing up, who did you listen to? What bands have influenced you? I personally was a John Lennon addict. Then growing up with the same addictions to Woody Guthrie, Bob Dylan and Jeff Tweedy. I also went through a long stint of listening to The Temptations. Q- Do you have any favorite places to play? Does the band prefer being on stage or in the studio? We love performing. We live in a house with a studio in our basement. That is where we practice and record. It is difficult to say “no” to gigs because being on stage is so fulfilling. We have started to head back into the studio, thought, for our next project. Q - Is it easier or harder these days getting people to hear your music? It is difficult to get people to buy music that they aren't told to buy from some celebrity or a paid DJ. I have found myself giving away more free music than I imagined. It is a very strange world we live in today with regard to technology. Just getting someone to click a button on Facebook can be a challenge, unless you're Cee-Lo. Short term goals are to be on the road more around the Midwest. Our long term goals are to keep recording and putting out records. It would be nice to live on the road and be able to support ourselves from music. It is upsetting that our society doesn't allow artists to just be artists. If we didn't have to go to our day jobs, we would be putting out new music every week. A chance encounter with a fan led musician Eric Bibb to being connected with a piece of blues history. After a gig a few years ago, a fan opened the guitar case he was carrying to show Bibb a relic from the past - a 1930s vintage Resophonic National steel-body guitar that belonged to Delta blues legend Booker White. The encounter inspired Bibb to write an album - "Booker's Guitar," on the very guitar that inspired the album. White, who passed away in 1977 at the age of 70, is known for such songs as "Shake 'Em On Down" and "Fixin' to Die Blues" (later covered by Bob Dylan). He presented his cousin, living legend B.B. King, with his first guitar. 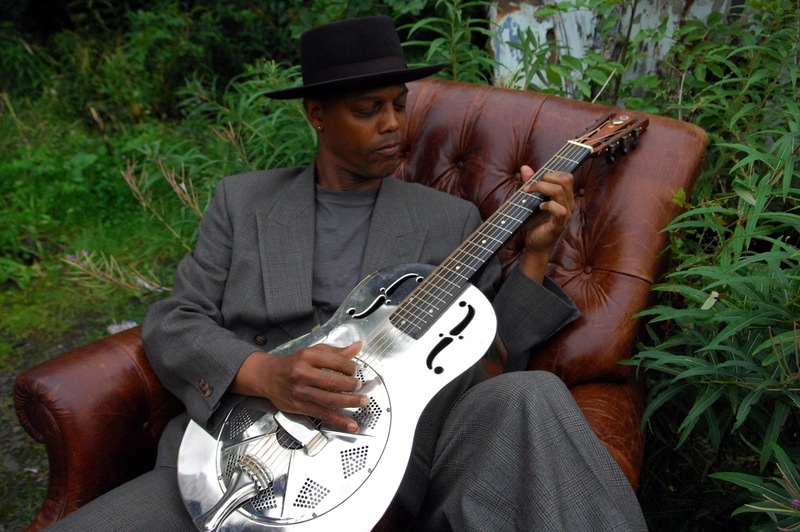 Bibb, www.ericbibb.com, will perform with soul blues artist Ruthie Foster on Jan. 21 at the McAninch Arts Center at the College of DuPage in Glen Ellyn. The show starts at 8 p.m., and tickets range in price from $26 to $36, available at http://home.cod.edu/atthemac/. I had the chance to talk to Bibb about his brush with blues greatness and how it inspired him to write the album. Q - How did it feel the first time you actually picked up Booker's guitar? It was something beyond an everyday occurrence. It felt very momentous. This was the instrument that Booker had for years and made music that I listened to on records. It was a guitar that B.B. King called the "holy relic." And then to actually play it was wonderful. It is a great sounding instrument. Acoustically, it has a lot of volume and richness. There's a lot of National Guitars from that time, the early 1930s, that look cool, but don't necessarily sound great. So this is really a rich, sounding instrument, and it thrilled me just the sound of it and knowing that it had been his companion for years. There was a set list taped to the side in his handwriting. Q - Wow, that's cool. What songs were on the set list? "Fixin' to Die Blues," "Aberdeen, Mississippi," were on there, along with some other stuff that really wasn't that legible to me. It's a really cool looking guitar. He had it rechromed, so it was pretty shiny and all that stuff. But the neck and the wooden parts were pretty weathered. Q - I understand that you listened to his music growing up. What do you appreciate about his music? He was a different kind of player than I am. First of all, I don't play bottleneck, and he was a really robust, bottleneck player who got a lot of volume out of his guitar. He would get really physical. He had that slapping thing going on. What inspired me most about Booker White was his total sincerity. He was totally there when he performed. He was very focused. I got the sense that this wasn't just a guy who was entertaining people. This was his holy grail. He seemed very sincere, and honest about what he was doing. Q - Did you feel like you were channeling Booker White when you were playing his guitar? First of all, I was wondering, "Why me?" I was just thinking why did it come to me. I didn't think it was just a coincidence. There was a reason behind this whole experience. There was a reason why this man even told me he was in possession of it. He liked my music a lot, and he made some sort of connection between me and his friend Booker. I felt chosen in a way, without being too dramatic about it. 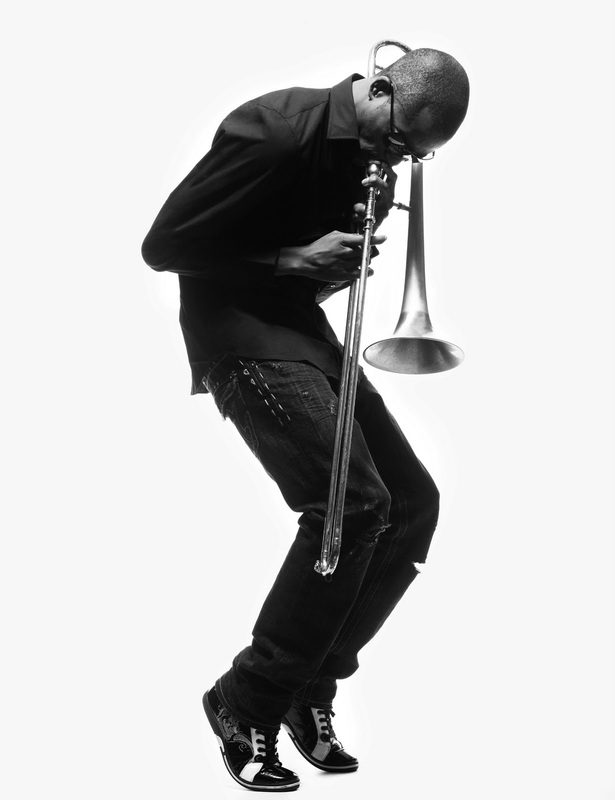 Booker's energy through his instrument had somehow been passed on to me. Q - Did you get inspired by the guitar to write the songs for the album? I did. I really feel the whole experience kind of told me, "Man, you're on the right track. Trust your intuitions." I think writing blues tunes in an old country blues type of format is really not the easiest thing in the world to do. Simpler songs are harder. It's essential you are truthful and that you are not being kind of a cartoon reflection of your heroes. You're making sure that there are elements in the music, and in the playing and singing that resonate what was going on before. If I thought too much about it, it might have been just a little bit too daunting. But I didn't. I just thought, "It's supposed to be this way. I'm supposed to do this." Q - Do you think this album will get people to try to find out more about Booker and his music? I hope so. I hope people will check him out, not only for his music, but also his life and career, and his connection to the whole genre. Q - Your dad is folk-blues musician Leon Bibb. Was he an influence? Do you think he got you interested in folk-blues? He gave me an introduction into that whole tribe of folks who were celebrating people like Leadbelly and Josh White. I became aware of all those people at a very young age. Q - You are better known in Europe than America. Have you been trying to build your base in America? Absolutely. I've been getting more mainstream media attention. In America, if you are not part of the mainstream, it is very easy to slip under the radar. The response I got from the "Booker's Guitar" album is very encouraging. It let me know that people appreciated it, and even more importantly, it was something that felt natural to me. So that is as good as it gets. 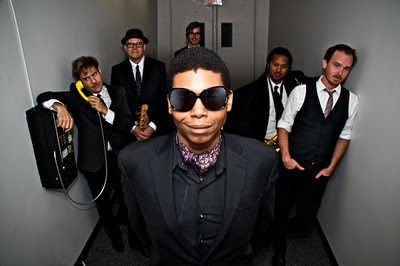 Whether you call them indie soul or punk and funk, Chicago band JC Brooks & the Uptown Sound is one band that will definitely get you out on the dance floor. The band, www.theuptownsound.wordpress.com, has been getting attention for its fresh take on Wilco's song "I Am Trying to Break Your Heart," with more than 100,000 people checking out the video on YouTube. JC Brooks & the Uptown Sound will open for Fitz And The Tantrums on Feb. 5 at the Metro, 3730 N. Clark St., Chicago. The show starts at 9 p.m., and tickets are $14, available at www.metrochicago.com. I had the chance to talk to frontman JC Brooks about how the band got its start and its plans for the future. Q - You guys had a pretty busy year last year. Are you looking forward to this year being busy as well? I hope so. We're releasing a new album, and we're doing a show called "Passing Strange." It's a musical. I haven't gotten to do a show in a while, and it's a perfect opportunity for the band to still be able to work and make money while I get to do one of the things that I miss. Q - Do you see yourself being able to juggle acting with your band duties? Absolutely. The band is first right now. Every entertainer nowadays seems to be a renaissance man, and I would like to join their ranks. Q - You guys seem to be a good word-of-mouth band. Do you think your live shows really sell the band? I do. And a lot of people said about our first album ("Beat of Our Own Drum") that it's kind of missing that rawness, that energy, that feel you get at the live shows. So we're working on that for the second one. Q - So you want to release an album that better represents your live shows? It will have a more live feel to it. Our live shows are what really sell us. People seem to really love the live show. It will have more of a rawness. They're finished songs, but we're just trying to capture a live energy and a raw sound. Q - And the band's cover of Wilco's "I Am Trying to Break Your Heart" has received a lot of buzz. What was your thinking in covering the song? What did you want to do with the song? Our guitarist, Bill Bungeroth, and our bassist, Ben Taylor, had seen Sharon Jones and the Dap Kings a couple years ago perform a cover of Janet Jackson's "What Have You Done For Me Lately." The idea had kind of sprung from that, taking a song and turning it on its head, making it sound completely different from the original. At the same time, we wanted to make people think maybe this was an older song. Q - You guys met in an unconventional way, through Craigslist. I thought that would be the most conventional way. Everything happens on Craigslist now. Q - Yeah, maybe it's not so crazy anymore. It was kind of surprising, because I found one other band through Craigslist and auditioned for a few others besides that. They all kind of had a weird, odd vibe. None of them had a vibe that I was all right with. Q - But did you guys start to gel right away? Pretty much. We got together and jammed out a little bit. It was a good vibe, and then we hung out for a couple of hours after we put down our instruments. Q - I understand you don't really think the term neo soul is appropriate for the band. You kind of shy away from that term. Yeah, I wouldn't say neo soul. It's been called a lot of things. In my mind, it's indie soul. But it's been called Maximum R&B, along with punk and funk. So far, I haven't heard a description that I didn't like. Q - Why would you describe it as indie soul rather than neo soul? Just because we are blending in more of a rock element. To me, neo soul has more of a jazz blend with it. We're really trying to get a garage rock sound with the band. Q - Soul music seems to have such a long shelf life. Why do you think it has such lasting power? I don't know. There was a lot going on when soul music was first made. It was just a really tumultuous time, and I think the environment inspired that sound. It's touching, it's deep. That's why people are still harkening to it. I'm trying to describe it without using the word soul. But it is something that touches your soul. Not that other things can't, but it seems like a type of music that is designed to get in and do that. Q - Growing up, what music did you listen to? I've listened to a lot of different stuff over the years. My favorite band for the past 10 years has been Steely Dan. Good songwriting. Unexpected chord changes and great lyrics. And it's also catchy. I wouldn't trade my band for anything, but I love how they recorded. I would love to go through the archive of every studio performance of a Steely Dan song. Q - Some people might say you are obsessed. Well, I love the music. I really do. Beyond Steely Dan, I like a lot of music from the '70s. I really connect a lot to songwriters from then. Q - I guess that makes sense, because your music does have a '70s vibe to it. Q - Any short term, long term goals for the band? Right now, short term is just finishing up this album and to get it sounding good. We are working on a couple of things for the spring. Hopefully we can make it out for a couple of festivals. Another possible goal is getting signed to a label this year. There's a lot of stuff. There's a wish list. It is time to take another step forward in terms of how we are pushing ourselves, how we are presenting ourselves. I figure each new album is a rebirth for the band. Individual tickets for the Tony Award-winning production of "HAIR: The American Tribal Love-Rock Musical" will go on sale at 10 a.m. Friday, Jan. 7, through all Broadway In Chicago ticket outlets. The national tour of "HAIR" comes to Chicago's Ford Center for the Performing Arts Oriental Theatre for a limited, two-week engagement March 8 – 20. The cast will feature members from the recent Broadway production of "HAIR," including Steel Burkhardt as Berger, Matt DeAngelis as Woof, Kaitlin Kiyan as Crissy, Darius Nichols as Hud, Paris Remillard as Claude, Kacie Sheik as Jeanie, Nicholas Belton, Larkin Bogan, Allison Guinn, Josh Lamon, John Moauro, Kate Rockwell, Cailan Rose, Jen Sese, Lawrence Stallings and Lee Zarrett. Additional "HAIR" alumni include Phyre Hawkins as Dionne and Caren Lyn Tackett as Sheila. The cast will also feature newcomers Shaleah Adkisson, Emily Afton, Corey Bradley, Marshal Kennedy Carolan, Laura Dreyfuss, Mike Evariste, Lulu Fall, Tripp Fountain, Nkrumah Gatling, Christine Nolan, Emmy Raver-Lampman and Tanesha Ross. "HAIR" won the 2009 Tony Award for Best Musical Revival as well as the Drama Desk, Drama League, and Outer Critics Circle award for Outstanding Revival of a Musical. "HAIR" was also nominated for an additional seven Tony Awards including Best Direction, Best Choreography, Best Costume Design, Best Lighting Design and Best Sound Design. The cast recording was also nominated for a Grammy Award for Best Musical Show Album. Tickets for "HAIR" range in price from $27 to $90. A select number of premium seats are also available. Tickets are available at all Broadway In Chicago Box Offices (24 W. Randolph St., 151 W. Randolph St., 18 W. Monroe St. and 175 E. Chestnut), the Broadway In Chicago Ticket Kiosk at Water Tower Place (845 N. Michigan Ave.), the Broadway In Chicago Ticket Line at (800) 775-2000, and all Ticketmaster retail locations (including Hot Tix and select Carson Pirie Scott, Coconuts and FYE stores). Additional show information can be found at www.broadwayinchicago.com.